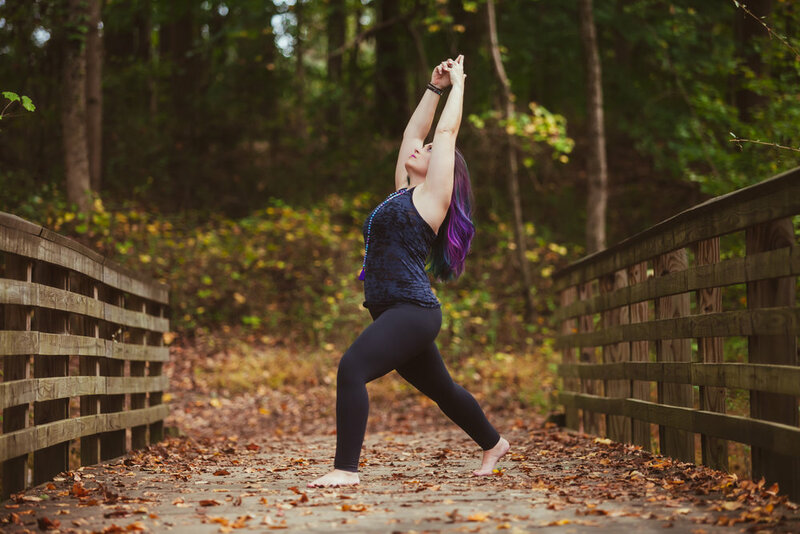 As an avid exercise enthusiast, Karen’s yoga journey began when she sought out a yin yoga class to help soothe her body and find sustainability after multiple running injuries. Skeptical to the benefits of yoga beyond the physical, she had no idea what she was getting herself into. 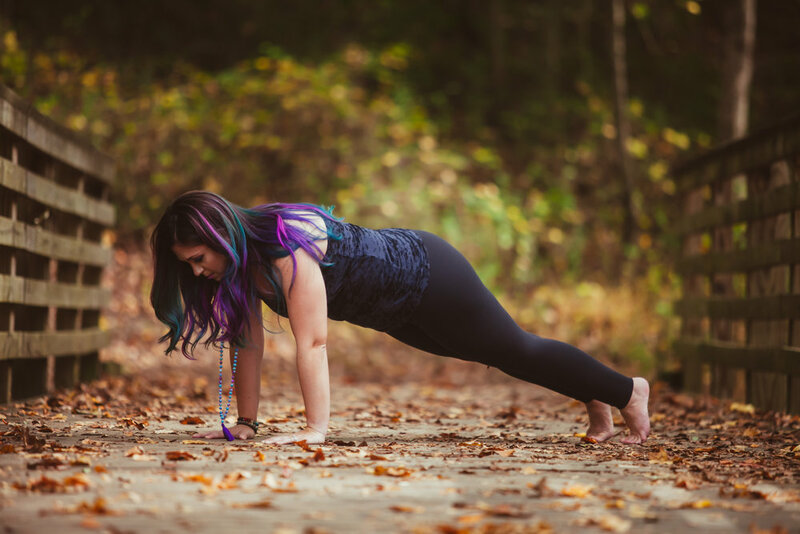 Ninety minutes later, she walked out of the studio a different person — her life was completely and intensely changed by the mind-body connection of the entire yoga experience. From there, she dove head-first into her yoga practice. The literal twists, turns, and challenges that the practice presented her with have helped to shape and transform her into who she is today. 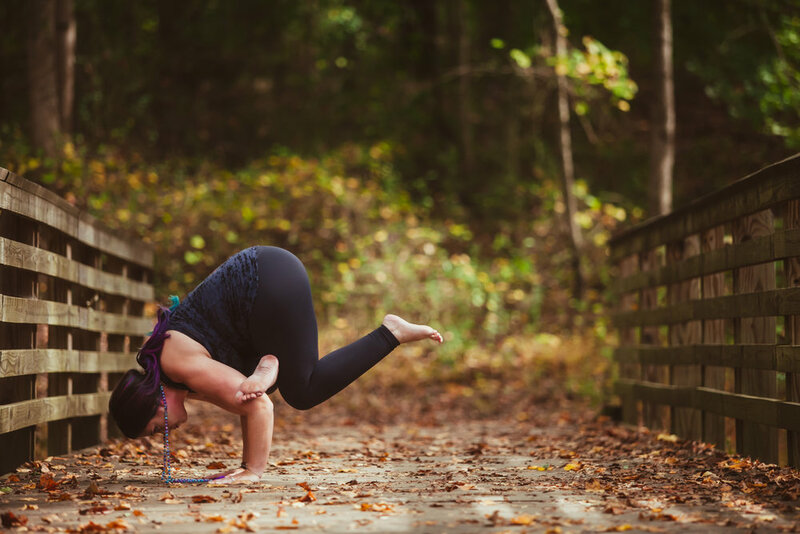 With a desire to deepen her knowledge and bring her love of yoga to others, Karen completed her 200HR Teacher Training at Johns Creek Yoga in December 2017. Additionally, Karen is a certified energy healer and is currently working on her 300HR advanced yoga teacher training. Karen’s background is in writing, photography, and anthropology. 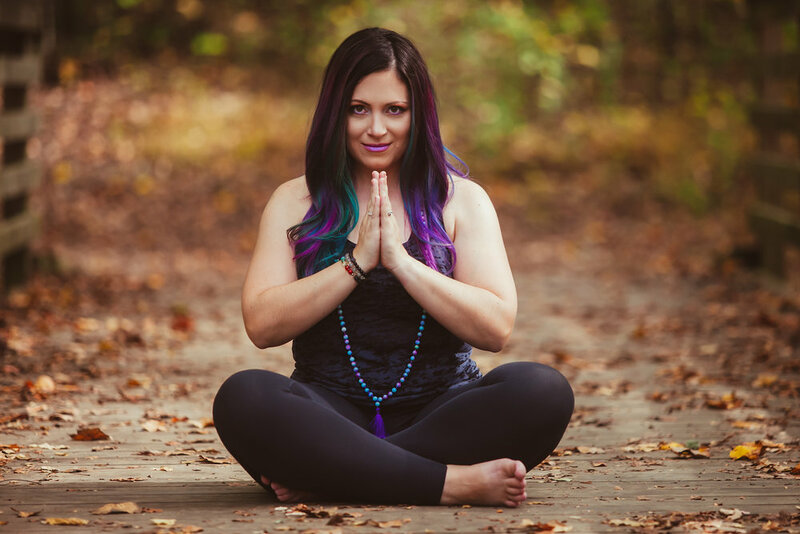 It is from this intersection that motivates her style: to connect authentically to her students and enable them to tap into their own intuition by infusing creativity, imagery, science, and spirituality into her yoga classes. A self-proclaimed “unicorn,” Karen lives life in color and with an open heart, allowing the magic of the mundane to inspire her daily. Her classes are meditative, mindful, aligned, and meaningful. Karen was born and raised in Florida (Go Gators!) and moved to Georgia in 2015. She is married with two young boys and loves music, coffee, photography, and is a lifelong sci-fi fan! Live long and prosper! Contact Karen for information regarding private lessons, corporate classes, workshops, & more. These portraits of Karen were captured by Sarah Quiara.